Teresa Bonilla is a staff reporter for the Hawkeye, a co-host for TMI and the design and graphics editor for TEMPO, the yearbook. Teresa joined Hawkeye in order to purse her passion for communication that equally provides everyone with access to information. As she spent time in hawkeye Teresa developed a love for design. 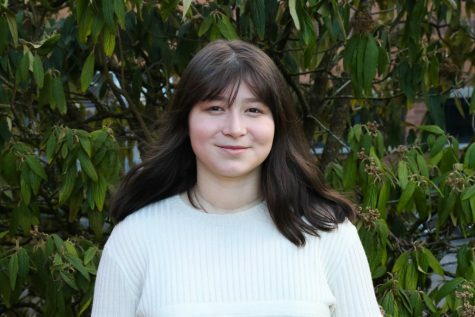 Now as design and graphics editor for the yearbook, Teresa hopes to help create a product that shares information through a combination of visuals and writing that can be cherished by students for years to come.